The computer market is changing rapidly and prices are extremely competitive, so it may be time for you to let go of your old workhorse and move up to a newer model. Before you let go of your old computer, though, there are some steps you should take before transferring or donating it to a new owner. If you are going to donate your computer, the wisest course of action would be to send it to a refurbisher. The refurbisher will make sure the computer is in good working order, install any applicable upgrades and make sure that any programs installed are legal copies. If you want to sell electronics online, there are many sites to choose from. But whether you plan to donate or sell your computer online, you will want to take some preliminary steps to ensure that all your personal data has been completely erased. First, transfer and then remove all important documents, spreadsheets, and backup files from your computer. Use disk-cleaning software to clear your browser’s cache, cookies and history. Delete all your email contacts and messages. Clear your trash, and remove any programs that cannot be legally transferred to new owners. Second, you do not want to inadvertently pass on a security threat, so run a scan to detect viruses, spyware and worms. There are a number of free and shareware programs that remove security threats. Viruses and spyware can also slow the computer down. Third, be sure that you have removed all traces of sensitive financial information. Simply removing documents and backup files may not be enough to remove this information permanently. Be sure to completely uninstall any password storage or financial data programs entirely. Most people do not want to wipe the drive clean, because this means the new owner will have to buy a new operating system. But if your PC is a hopeless tangle of security threats and missing files, or if you are uncertain that you have been able to remove all traces of your personal files, you might want to wipe the hard drive clean and then do a fresh install of your latest operating system. Be sure you have the correct operating system CD for your computer. 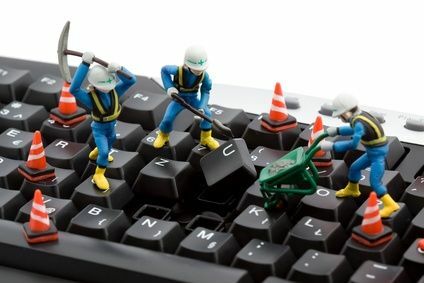 Fourth, be sure the computer is physically clean: blow out any dust, clean the keyboard and touchpad, remove debris from under the keyboard, and clean the monitor screen. Enclose the original operating system disks, user manual, and other documentation that came with the computer. List your computer on several sites that sell electronics online. Be sure to specify the exact brand and model—include your model number. Describe the condition of the computer, noting any scratches, dings or tweaks. Buyers appreciate and trust an honest description. Also list the operating system and any programs still on the computer. Describe the steps you have taken to prepare the computer for a new owner. Before deciding on a price, visit several sites and look up your computer model. See what similar models have been selling for and choose a price that is competitive. Finally, make your listing stand out by including some personal notes, if you have space, about anything you particularly like about your old model.